The technology of dental medicine is advancing by the minute. There are now sophisticated techniques for diagnosing and tracking oral cancer, correcting crooked teeth in less than a year, treating periodontitis (advanced gum disease) without surgery, and many more. Yet, when it comes down to diagnosing issues and creating an effective treatment plan, nothing beats a fresh set of X-rays. Dr. Miller uses dental X-rays to see the whole picture, in order to keep your teeth healthy, bright, and beautiful. If you are a Shelby resident with questions about how X-rays work, read on, and don’t hesitate to call Discovery Dental Shelby with any concerns. X-rays have been around since 1895, when Wilhelm Conrad Roentgen first discovered that his cathode ray tube could penetrate black paper and cast shadows of solid objects. X-rays are on a shorter wavelength than visible light and pass through soft tissue in the human body, providing a detailed picture of what’s going on inside. Without X-Rays, the treatment of everything from cavities, to broken bones, to cancer, would be much more difficult. Beyond medicine and science, X-Rays have useful applications across many industries. Dr. Miller understands why many Shelby residents have concerns about radiation. However, dental X-rays use an insignificant amount of radiation in a small and controlled area. According to the American Dental Association, a set of two to four bitewing X-rays (for back teeth) represent a 0.005 millisievert (mSv, a unit of radiation) exposure. The average American is exposed to 3.2 mSv of environmental radiation each year. That means you would have to have about 600 sets of X-rays just to equal the level of natural exposure. Even so, the team at Discovery Dental Shelby cares for our patients’ health with best practices in minimizing radiation exposure, such as using lead aprons, high-quality technology, quick exposures, and selective imaging techniques. 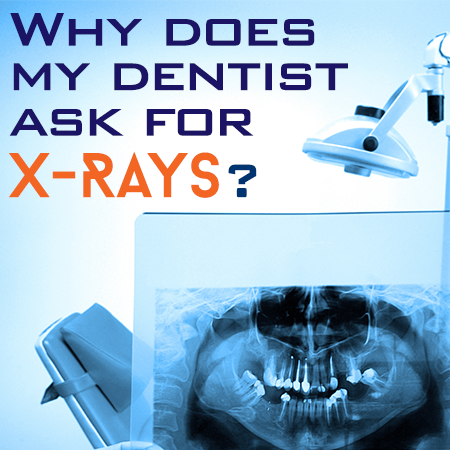 If you would like to see what dental X-rays can reveal about your smile, give us a call today!